Nice to be ”Today’s Featured Video” at notreble.com! – Play UBass! Nice to be ”Today’s Featured Video” at notreble.com! 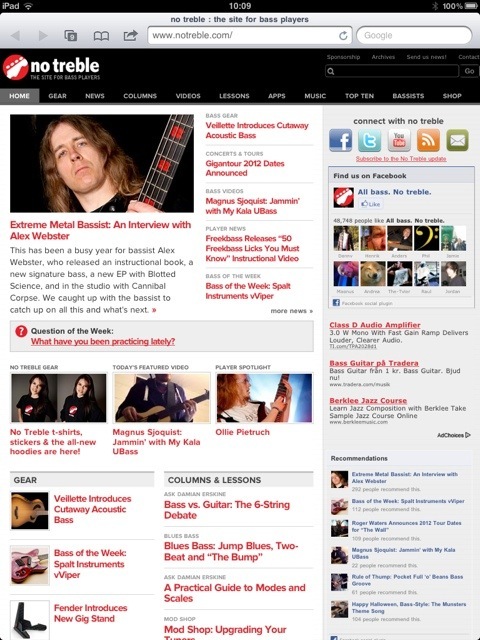 Just got the news that I’ve got one of my ”Jammin’ with my Kala UBass” videos on the ”Today’s Featured Video” on the great bass community notreble.com. I found out about this because my great friends at the Ubass Appreciation Society did a blog post about this. Thanks for that! Here’s a link to the featured video spot! Thanks to notreble.com for the feature!